Have you ever had a non-golfer in your life ask just what exactly do you and your friends talk about during two and a half hour rounds? Maybe you drew a thoughtful expression, placed a knuckle on your chin and went, “Umm…disc golf?” You are not alone. Mahmoud Bahrani and James Bress are both disc golf obsessives and participants in New England Team Challenge (NETC). These are the emails they exchanged in the excitement of the week before Finals. 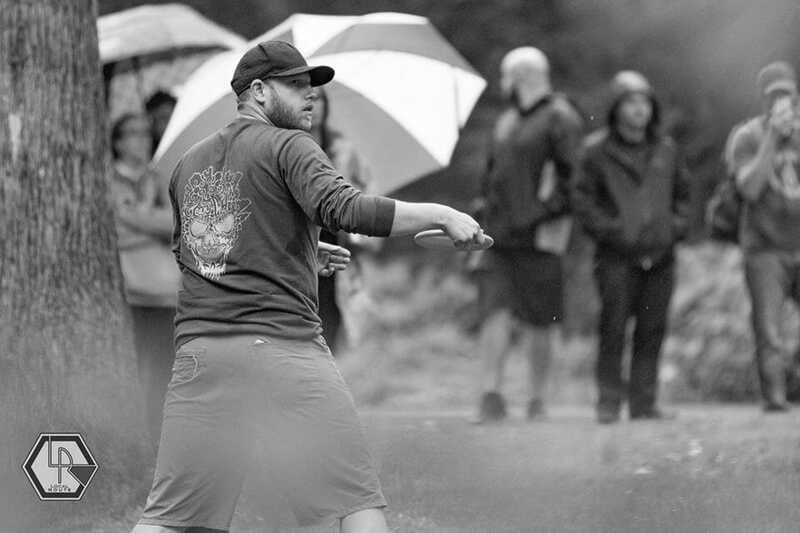 James is a fourth-year disc golfer, third-year player for Team Wick of Manchester, Connecticut, and a writer for Ultiworld Disc Golf. 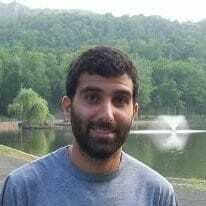 Mahmoud is a fifth-year disc golfer, second-year player for TDH2 of Bristol, Connecticut, and a writer and podcast producer for UWDG. Mahmoud Bahrani: I don’t know about you Big Game,1 but New England Team Challenge always makes me question my sanity. Getting up early in the dead of winter, driving several hours to a course buried under snow, and then playing in the freezing cold — it all adds up to a pretty miserable time. And that’s if you win! I honestly can’t comprehend why I keep playing Team Challenge year after year, but I guess it must speak to how great the people on my team are if I keep coming back, seeing as the golf itself is really not that fun or interesting. Am I the only one that hates it this much? Do you have any fun when you’re grinding out pars on some random course in Massachusetts in February? I love the mano-a-mano intensity of match play. Even when both players are correctly calibrated to the mostly laid back vibe of winter golf, there is an immense amount of pride at stake in that moment when you walk back to your team in the parking lot and get to give them the thumbs up for a point earned…or the sad shake o’ the head that means the opposite. I love that TC gets me out to new courses I otherwise would not be playing. Woodland Valley up in Maine is approximately four hours from me; I would never get past Maple Hill going in that direction if not for TC. Plus, the relegation/promotion system means that hopefully there is a constant influx of new teams and locations to visit. I love the medium-to-low commitment. While it drives me crazy that A pool (inexplicably and inexcusably) does not set a schedule at the outset of the season, I can definitely muster one weekend day per month to go play with my friends, and if I have to cough up for a hotel once or twice, so be it. TC has just the right amount of intensity to make me feel a part of something, but also not so much that I feel like I need to sacrifice other parts of my life for it. What about the vibe, in your experience? I hear a lot of the older guys gripe about how TC used to be about shared food, beer, and smack talk. Now, between the youngsters, newcomers, and all the additional teams, TC is all about competition, they say. They say these days TC is taken too seriously and it leads to underhanded angle shooting and disingenuous loopholes. In your opinion, is TC better when it’s social-first-competition-second, or vice versa? I gotta say, I’m in it for the wins, baby! I’m unfortunately very familiar with the sad shake o’ the head. I’m definitely a competitive guy and I hate losing with every fiber of my being, but I think the social dynamics of Team Challenge are way more interesting than the competition. Like you mentioned, getting to travel to all the (freezing) corners of New England and play courses I wouldn’t get to play otherwise is the biggest appeal of the whole thing. I love that the home team has to cook, and lunch honestly might be my favorite part of Team Challenge — although that might just be because I’m addicted to food. All that being said, I don’t think being competitive and having fun are mutually exclusive. My team, TDH2, definitely takes Team Challenge quite seriously. I know Paul Adorno, our team captain, is at home researching opposing players to optimize our matchups. But once we get there and we’re playing, we’re messing with each other just as much as anyone. At our neutral match vs. Chainsbury, one of the members on their team went on a podcast and called our team something that isn’t appropriate to print. Needless to say, after a come-from-behind victory, we were definitely giving him a hard time. Speaking of food, though — which team has provided you guys with the best spread? I know at TDH2 we take it as a personal mission to feed the visitors so well they’re talking about it on the ride home. One of my teammate’s mom makes the best stromboli you’ve ever tasted in your life, and we always have a healthy serving of It!, which is the best desert you can possibly have. Man, I shouldn’t have written this email so close to dinner time. JB: The lunch spread is a piece of Team Challenge culture that I am very glad to find still aligned to its original concept, far as I can tell. For the most part, wherever you go you’ll be treated to a long table of generator-powered Crock-Pots spilling over with steaming chilis and casseroles, so I’m not sure I feel qualified to rank one team over another. Sometimes, though, you’ll find that artisanal foodie teammate who really blows the other dishes off the table. For my money, Juano’s kale and pear salad at our match against Crane Hill is the dish of the year. Shake your head in disbelief if you want, but know that my own eyes witnessed devoted carnivores eschewing succulent Swedish meatballs for second helpings of this thing. It was exquisite. Other times you’ll get someone who knows exactly how to give the people what they want: simple, hot, ribsticky, and delicious. My “Golfer’s Favorite” award in 2018-19 goes to Team Wick’s very own: Ashley’s famous “You-Better-Not-Be-The-Last-Card-In” Crock-Pot Cheeseburgers! It is not health food. And the beer! You’ve never seen a group of middle-aged men so giddy to swap a pack of Bissell Brothers for a growler of Fox Farm. As I’ve gotten older I’ve really come to appreciate the eternal concept of breaking bread — forging community over food and drink. That tradition is alive and well in New England Team Challenge. It’s a cool thing to go a full 18 holes of match play with someone you’ve never met before, feel the rage and elation of competition, the salt of a particularly cutting piece of smack talk, and then get back to camp only to shake hands and spend the next hour realizing that you both emphatically agree that the Patriots are the best sports franchise of all time. Do you think that the 3-points-max impact of any one player is a good thing for TC, or a bad thing? I know certain superstars who have had trouble feeling that a trip to Maine is worth their while just to kick in three points in a losing effort. Should we be trying to move TC in a direction more like basketball where a truly outstanding golfer could have a more prominent effect on the outcome? Which leads to my next question: if I propose to the A pool commissioner (who makes just a little less than 1/50,000,000 the salary of Roger Goodell and arguably has a much more trying job) that we make match play wins worth two points and leave doubles wins as three, why would they say no? MB: Dish of the year for consistency is definitely the aforementioned stromboli, but Brian Wingender’s sugar-sweet bacon-wrapped mini hot dogs are definitely in the running. Also, I don’t drink, but I wish I did sometimes just so I could be as interested as everyone else when they start swapping beers. I honestly like that Team Challenge is so equitable in terms of point distributions. The original intent of TC, as far as I understand it, is to determine which region of New England has the best players, not the best player. It’s easy enough to see which state has the highest top tier talent; just look at the winners of all the regional tournaments. I think it says a lot more about your state or local course if you have the best 14th player, rather than the best first or second player. Also, the top players get to thrive and succeed in tense, exciting, high pressure situations all year long in PDGA events. For a lot of those top tier players, Team Challenge is just for fun, and is, at most, mildly competitive. The trash talking is probably more important than the match itself. The Team Challenge point spread being equitable means that the 12th or 13th person is just as important as the first person, and I think that’s incredibly impactful for those rec level players. Team challenge is their Super Bowl. For a day, at least, they get to compete and be a part of something where their success means just as much as the success of someone at the top, which is incredibly cool. Seeing MA3 and FA2 players come in with a big smile on their face because they won their match is way more interesting to me than an MPO or FPO level player who was expected to win. Changing the points distribution to weight match play more kind of has the same effect. You’re far more likely to sit someone in match play than you are in doubles, and that redistributing points would just add to the feel-bads. Or am I just way overthinking this? JB: No, probably not. I guess I just really like the match play round and would like to see some extra competitive pressure applied to it, but you’re definitely right about it leading to more benchings which nobody wants. Ok, last thing: how do you like the way TC has been expanding these past couple years? We’re currently up to five standard pools, A-E, with an additional two “Play-in” pools rounding out the bottom of the current promotion/relegation ladder. Now, New England is currently booming with disc golf and there are new courses going up all the time. How many have we seen just in Connecticut in just the past few years? Four? Five? And more to come. If one of those new courses wants to start a TC team, they go straight to the Play-in pool, which means it will be at least five years before they could compete in the A pool. Now, I’m not sure that is everyone’s goal…but should it be? If we could get some sponsorship money to pad the A pool payout — Currently $1,600 for first place, $1,000 for second, and $600 for third; all teams buy-in at the beginning of the season for $400 — and blew out the incentives to play competitively and win, does that necessarily spoil the spirit of the entire thing? What if it was spun off into an entirely separate league? I’ve been reading about the Collegiate Championships and I find myself really drawn to that kind of high-stakes team competition. Maybe there could be some kind of Cup like they do in international soccer where teams could send an all-star group of eight players to go four rounds over a weekend at a neutral course for some separate trophy and prize money…I don’t know, but I’d be very interested in participating in something like that, or at least following it from home. It could be like the FA Cup in England in which any team can join. I would love to see Wick matched up against TDH2 before 2022! Actually, I like this TC Cup idea so much, I might put a little more thought into this…What do you think? MB: I love the idea of TC Cup! There are definitely some teams that are only nominally in pools because of the way you have to move up the ladder from Play-in pool. Like you said, if a new team springs up in Hartford, and all the Team Wick players theoretically go to that team, you’d still have to start in Play-in pool, even though obviously you’re strong enough for A pool. It would be a long hard slog of decimating the lower pools, but if a TC Cup like you’re mentioning existed, it could be something cool and prestigious where you would get to challenge all the teams higher up. My only concern with it is the time constraints. Team Challenge has already expanded to the point where it’s definitely hampered registration for Ice Bowls, and expanding Team Challenge any more will just make that even worse. Also, I think the allure of TC to a lot of players is that, at best, it’s once every three weeks or so. More matches means fewer players who can make the commitment. I like the idea of A pool being high stakes, but anything other than that is a bit much. I would be a lot less into Team Challenge if there was that much money on the line. Part of what I love about TC is the fact that I don’t have to play perfect, and I can have a semi-competitive environment where I can work on the things I’ve been trying to perfect all winter. But man, Team Challenge finals coming up this weekend! The season has flown — no, wait, who am I kidding? The winter has been long and hard and grueling. I think it’s kind of funny that finals are played in April when the weather is relatively nice after playing in the icy tundra for six months. I’m excited, I’ve never played Topo and I’ve heard it’s a wonderful course. I am starting to feel a little bit of the pressure though. TDH2 is the 1-seed in D pool, so we got all the targets squarely on our backs. Good luck this weekend! You know you guys are loaded and good in the woods, so the only target you need to worry about has 24 chains. I’m off to Maine on Thursday to get a sneak peek of Acker’s Acres before the big day. Due time for Team Wick to put a 5x next to our name! Later, pal. Comments on "An Email Correspondence Between Rival New England Team Challenge Players"